About six months ago my friend Michelle and I decided that we wanted to start making some of the projects that we’ve been pinning, so we started a monthly craft night. 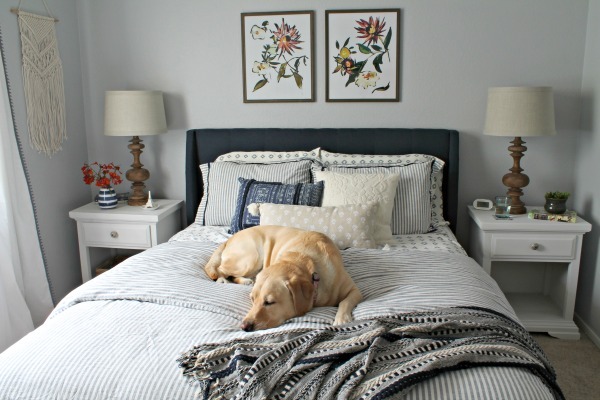 I shared our first three projects a few months ago (see them here) and today I’m sharing our most recent crafts. In November we made ornaments for Christmas. We made block ornaments, wood slice ornaments, and clay ornaments. 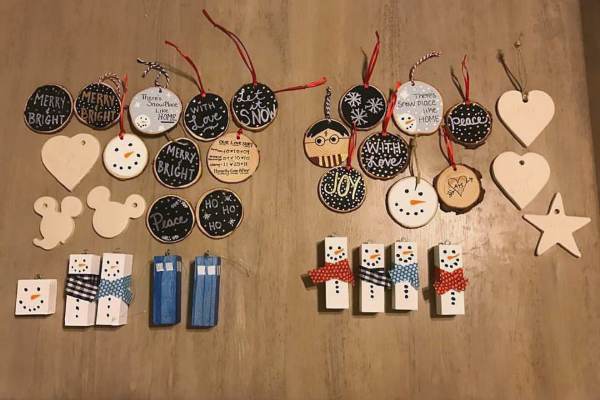 These pins were our inspiration: wood block snowmen, Harry Potter, A+S, Snow Place Like Home, snowman wood slice, and chalkboard wood slices. Mine are on the right. I hung most of my ornaments on our Christmas tree, but I also used a few while I was wrapping presents. They were such a fun addition to the gifts. 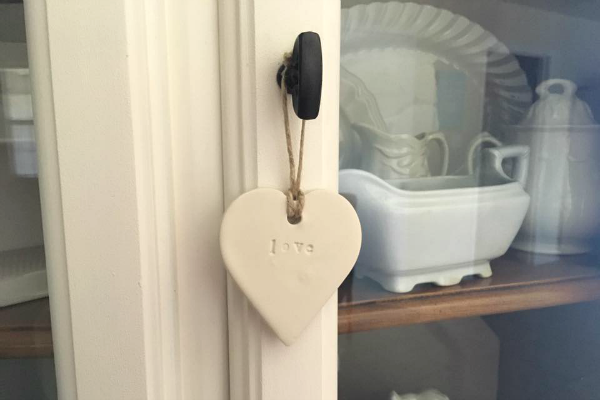 I ended up liking the heart shaped 'love' one so much that kept it out after Christmas and it now hangs on the hutch in the dining room. 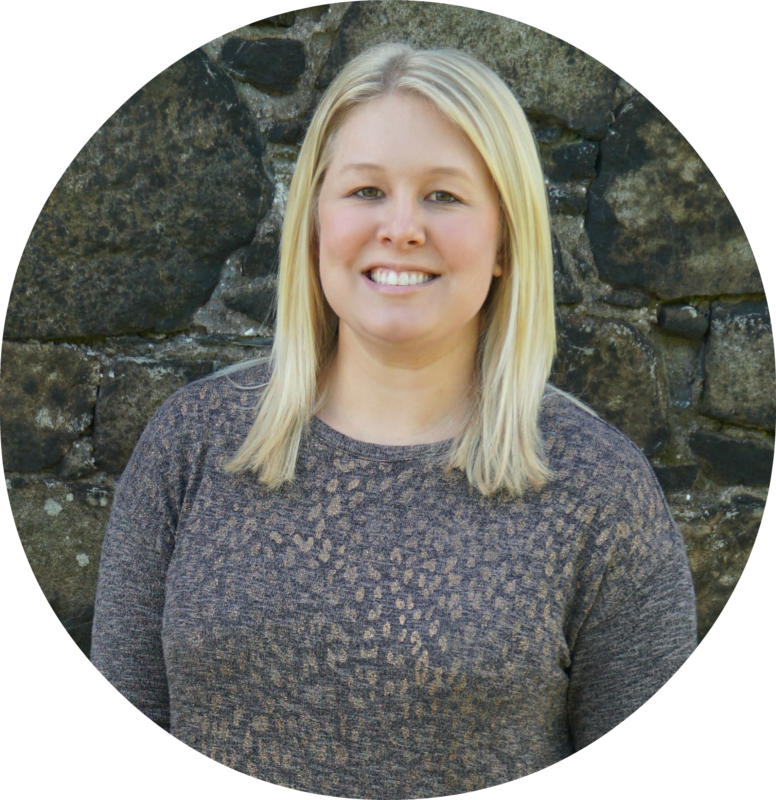 We skipped December because of the holiday madness (well, actually we made fudge), but started back up in January. Our January project was a pair of large wood tags. We had originally planned to make them reversible, but ran out of time. I was planning to do one side for Valentine’s Day and one side for St. Patrick’s Day. Michelle was going to do one side Dr. Who and the other side Star Trek. Even though we didn’t finish both sides, I still love how they turned out. I used these instructions to cut the tags and we used this method for the lettering. It worked well for the shamrock, but I had a hard time with the lettering. I saw later that some people use paint pens and I think that would be SO much easier than a brush. 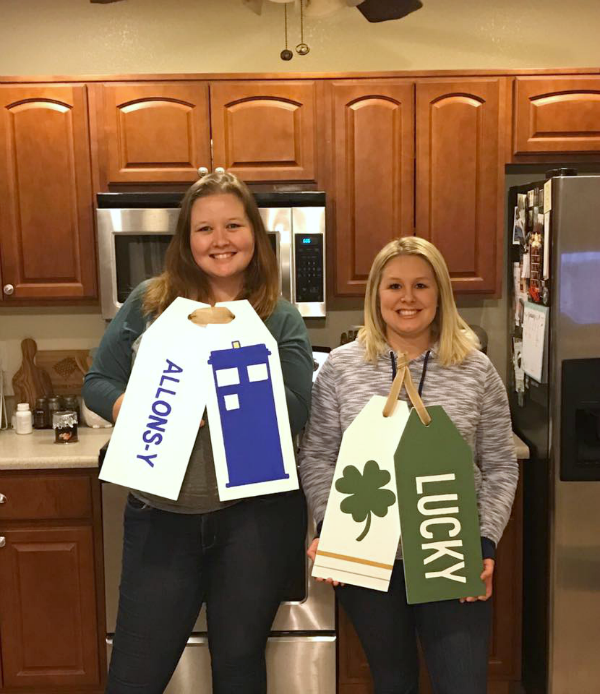 Last weekend we planned a last minute craft night and decided to make home signs. 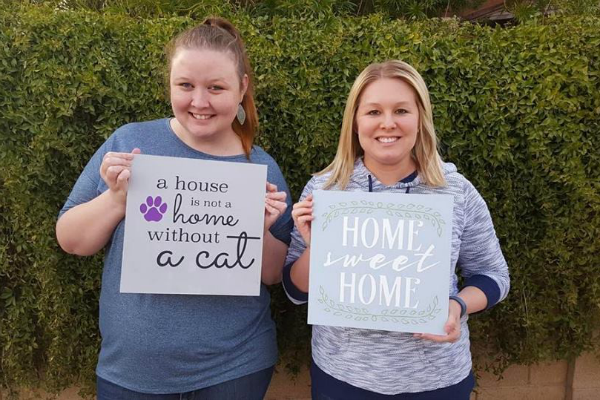 I picked this Home Sweet Home design from Where the Smiles Have Been (she provided the cut file for free) and Michelle picked this cat design from the Silhouette store. We had few issues with the vinyl and Silhouette, but we’re still happy with how they turned out. Other than the wreaths we made for our first craft, this sign will probably get the most use. 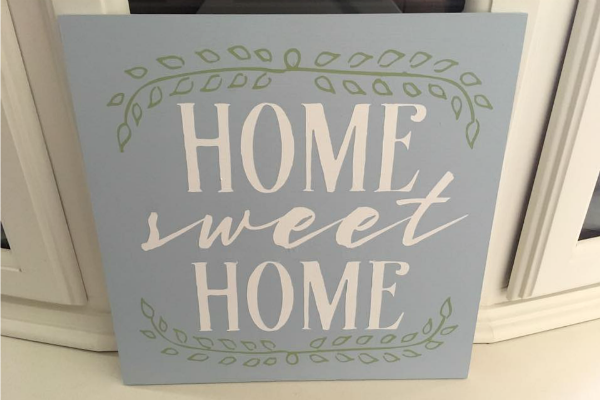 For our next craft night (end of March) we are going to make either these signs for Easter or these posts for our front porch. Probably the Easter sign so we have enough time to display it before the holiday passes. What’s the last thing you’ve made from your pins? How did it turn out? If you have any favorite projects for us to try, leave them in the comments! 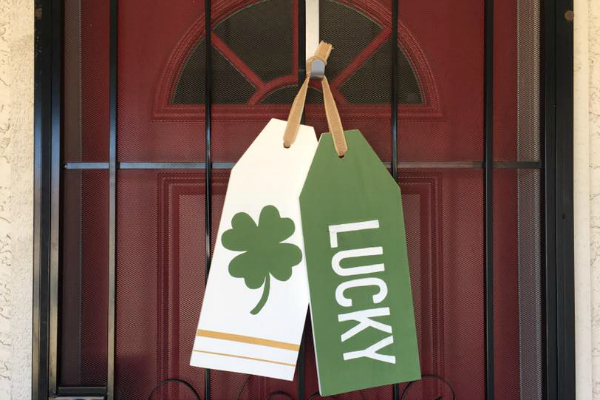 Love those wood tags you made to hang on your door! I might have to make some of those with some scrap wood I have. And I Love the idea of making them double sided for two holidays!